Authors Dr. Bertrand Khayat received his DDS degree at the University of Paris. He obtained his Certificate in Endodontics and his Masters of Science at the University of Washington in 1988. A pioneer in the use of the microscope in Endodontics, he also designed several surgical instruments including ultrasonic tips for surgical retropreparation. 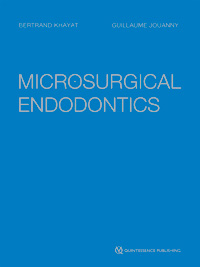 In addition to his extensive experience and expertise in Endodontic Surgery, he lectures internationally while maintaining his private practice in Conventional and Surgical Endodontics in Paris. Dr. Guillaume Jouanny received his DDS degree at the University of Paris. He earned his Certificate in Endodontics from the University of Pennsylvania in 2015, where he received comprehensive training in Microsurgical Endodontics. He returned to France where he teaches at the University level. In addition to his private practice in Paris, he lectures on Surgical Endodontics, among other Endodontic topics, worldwide. 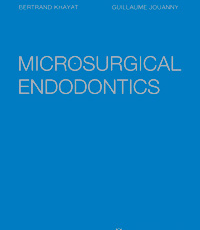 The authors have collaborated for the last decade on multiple publications and a textbook dedicated to Endodontic Microsurgery in French. Together, they founded a clinical training program that welcomes international dentists seeking mastery in Surgical Endodontics.